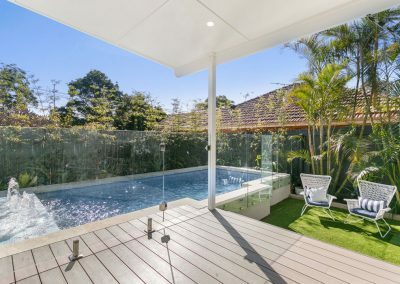 This stunning pool was constructed by the team at Narellan Pools Southern Sydney & Illawarra to optimise the functionality and enhance the beauty of the outdoor space. The homeowners wanted a pool that would accommodate their active lifestyle. 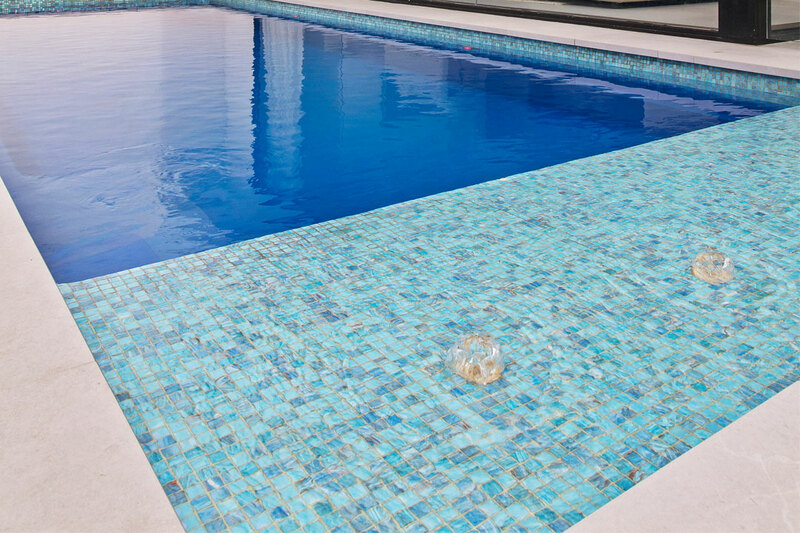 Designed in collaboration with the home’s builder, One Up Building, the pool includes a bubbling water feature with striking tiles. Positioned directly against the home’s floor-to-ceiling windows, the pool can be admired from the living room. 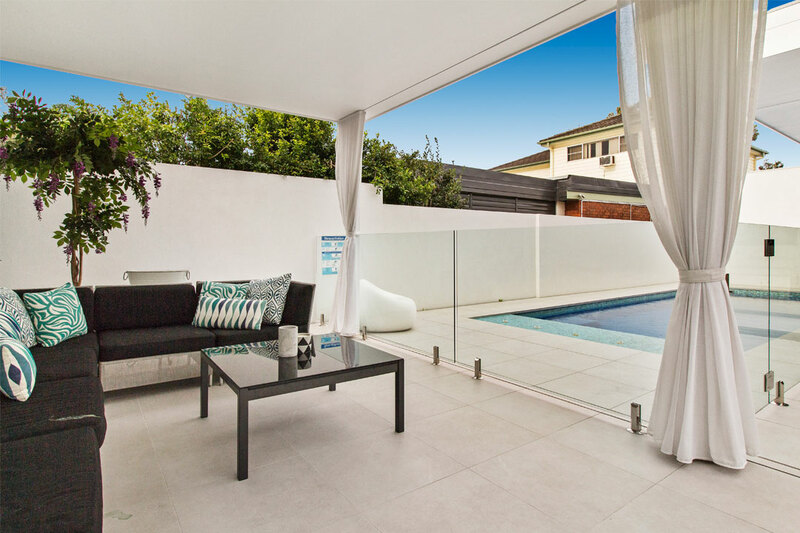 Narellan Pools’ 8.3m x 3.5m ‘Madeira’ shell was selected to meet the homeowners’ exercise requirements. Pavers that complement the home’s interior flooring were selected to visually blend the two spaces. Fitted with a cover from Daisy Pool Covers & Rollers and a Zodiac Z300 heat pump, the pool is highly energy efficient. Established in 1971, Narellan Pools began as a small, family-owned business in Sydney’s South-West. 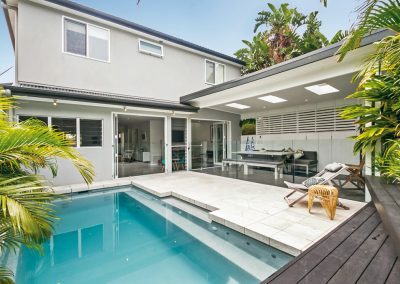 Since then, the company has grown to become an iconic Australian and international fibreglass swimming-pool brand, and spans multiple industries, including manufacturing, franchise and construction. 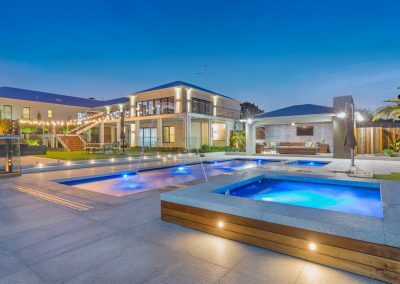 Using state-of-the-art technology, Narellan Pools constructs fibreglass swimming pools in a range of different shapes, sizes and colours. 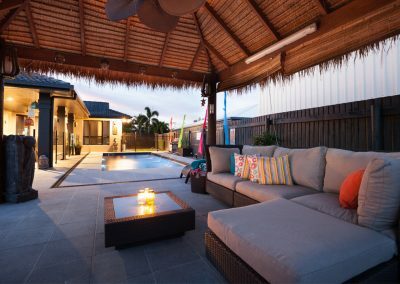 The company’s network of local and qualified pool builders are committed to ensuring complete client satisfaction. 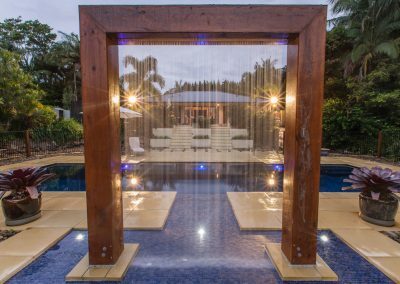 With more than 40 designs in its range, Narellan Pools will work closely with you to bring your dream pool to life.